Central Leaders School is a unique leadership experience for teens. A blend of personal exploration, skill development, and opportunities to grow, CLS is a life-changing experience for teens seeking to realize their full potential. 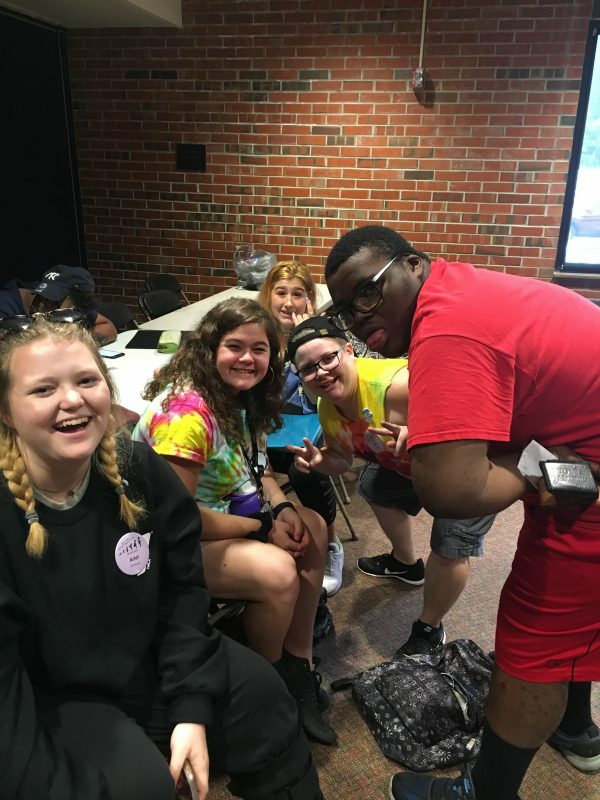 At CLS, teens from YMCA Leaders Clubs in 5 states in the Midwest reside for a week in the dorms at Illinois College in Jacksonville, IL. Teens select daily classes led by Y professionals which range in topics from yoga to job readiness, teaching new skills to prepare teens for adulthood and connecting them with others who have similar interests. Evening activities including dances, guest speakers, and game nights are often selected and led by the teens themselves. Skills learned during the week are put to the test as teens volunteer in the local community. Every activity at CLS is designed to provide an opportunity to grow, learn, and have fun. Central Leaders School is based on the philosophy that all teens have a voice and can be leaders. A President and Vice President are elected by their peers to represent and guide the school along with youth from every age group who are selected to be on Council, the CLS planning committee. Teens are frequently asked to step into leadership roles and encouraged to boldly challenge their perceived limits. Teens leave CLS with new skills to use at their local YMCA’s and in their own lives as they navigate school and employment. CLS instills a new sense of confidence in young people and creates lifelong friendships all over the Midwest. We are leaders, and this is what we do. Will you come lead with us? I wouldn’t be who I am today without leaders. The joy I felt serving the community as a leader drew me toward nonprofits and helping others help their communities. The skills I learned while in the program still serve me today and my ability to run meetings and work with others comes directly from leaders. To gain insight into how classes and programs in the YMCA function. To gain and develop self-confidence, self-respect, and self-worth through positive interaction with others. To learn the role of the YMCA movement in today’s society. To develop, clarify, and strengthen personal values. To encourage individual commitment to spiritual, mental, and physical health. To come to learn, and return to serve. What is Central Leaders School? Central Leaders School, or CLS as it is also known, is a weeklong camp specifically geared towards Leaders Clubs. It is held at Illinois College in Jacksonville, IL. It is a good mixture of learning new skills to take back to your local YMCA and community, and good old-fashioned fun. Former leaders always say it was a life-changing experience. Leader School is a great way to meet other teens from the Midwest and collaborate on ideas to take back home. The people that you meet at CLS will easily become life-long friends. What is there to do at CLS? CLS is packed with events and activities that will appeal to anyone that attends. There are social activities, such as a mid-week trip to a water park and a themed dance with an awards banquet. There are also many learning and growing activities, such as Majors, Theories and Elective classes, a group where Values are discussed, a morning doing community service projects in Jacksonville, and a time everyday spent listening to inspiring music and speakers while reflecting on the day, week or life. What can i learn at cls? Along with the Majors, Theories, and Electives, the week is packed full of opportunities to learn and grow. Whether that be learning about other Leaders Clubs and how they work, or useful skills and ideas to take back home to your community and schools, you will learn something valuable. Leaders School is also one of the best places around to learn more about yourself, to have new experiences and grow from them. It is the perfect place to explore who you are and be who you want to be. How do I get the most out of CLS? Participate as much as possible and experience everything that Leaders School has to offer. Don’t shut yourself off to new experiences, no matter how different you may first think they are. One of the biggest parts of Leaders School has always been opening yourself up to new things and ideas and growing as a young adult. Take an art class or learn a new sport. Talk to someone who you would normally not talk to in school. Give yourself permission to be goofy! That’s how you get the most out of CLS. What can I expect to bring home after CLS? You will bring back amazing experiences to your home club. You can get certified in CPR & First Aid, learn how to be a camp counselor or run youth sports. You can bring back ideas to grow your club or unique fundraising ideas. But the greatest thing you will bring back is the new and improved you. Clothes for a week. There is laundry on site, should you choose to bring detergent. A water bottle. It gets hot! Who will be at Central Leaders School? Fellow teen leaders from Illinois, Minnesota, Missouri, and Wisconsin. The CLS staff are advisors and staff of local YMCA leader’s clubs and former leaders club alumni who return as volunteers. What are the differences between the kinds of classes? Majors are classes that allow you to learn a skill or knowledge that you can take back to your local YMCA. This is where the idea Come to Learn, Return to Serve comes into play. Examples include CPR & First Aid, Youth Sports, and even Sign Language. Theories are classes that allow you time to learn some things just for your own self. Examples include Current Events, Life Hacks, and Relationship and Dating. Values are a group of your peers that are roughly same age and grade that you meet with daily and discuss topics that effect the group in general. These can lead to deep connections and long-lasting friendships. Electives are classes that allow you to kick back and do something just for fun. Examples include Basketball, Board Games, and even Silk Screening. What does a typical day at CLS look like? Morning: Ready for the day and Breakfast, Morning Mediations, Majors, Theory, and Values Group. Afternoon: Lunch, 1st Elective, 2nd Elective, Afternoon Activity, and Scheduled Recreation. Evening: Dinner, Vespers, Evening Activity, Evening Mediations, and then Lights Out. What if I don't know anyone there and how will I make friends? You are in luck! Leaders School is all about making new friends and meeting new people. You will meet someone new in your Big Brother/Big Sister. 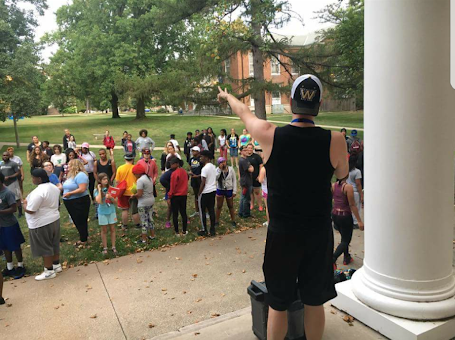 You will make friends at the Ice Cream Social and on the campus tour when you first arrive. You will meet people in the classes you take and your values group. There are plenty of opportunities to meet new friends from across the mid-west who will all be just as excited to introduce themselves and to get to know you. What should I bring to CLS? You can check out the full list of items you should bring here, but there are a few things that stand out. Personal hygiene products, bedding, an outfit for the themed dance, formal wear for the banquet, swimsuit and $20 cash for room key deposit. You may also want to bring a small fan for the dorm room, some snacks for throughout the week and some small gifts for your secret pal. Should I bring extra cash to CLS? While extra money is not absolutely necessary (except for the $20 room key deposit), it is recommended that you bring a little bit of spending cash with you. During the week, leaders will have two opportunities to go to the Dollar Tree to stock up on things they need or want like snacks, small gifts for secret pals and props for the theme dance. There is also concession stand at the water park we go to mid-week where you can get other snacks. $20 of extra spending money should get you through the week! Attending CLS For The First Time? Read This! Trying something new can sometimes be nerve-racking, and that’s okay! We created a First Year Guide to tell you exactly what you can expect during the week! We will go over this on the first day as a group, but you can read the whole thing right here, right now! Sometimes it can be difficult to know where to start asking your teen about their week at CLS. Here are a few questions you can use to start the conversation. What was it like staying on a college campus? Best and worst parts? What was your first impression when you stepped on to the Illinois College campus? What was it like living with a roommate you didn’t know? Do you think you were a good roommate? What was something you did in a class that you’ve never done before? Did you take classes to be with your friends or did you choose them for other reasons? If you had to teach a class at CLS, what would you teach? Tell me about your community service project. What was it like going into the Jacksonville community? Was it different than ours? Tell me about someone you met at CLS with whom you had a lot in common. Tell me about someone you met at CLS who was very different from you. Who was your favorite staff person and why? Did you learn something from them? How do you think others saw you at CLS? Outgoing? Shy? Is that what you wanted people to see? Do you want to go back to CLS next year? Do you want to recruit any new Leaders? Which of your friends would most enjoy CLS? Do you look at Leaders Club differently after attending CLS? What is something you learned at CLS that you can apply at home, at school, or at your Y? 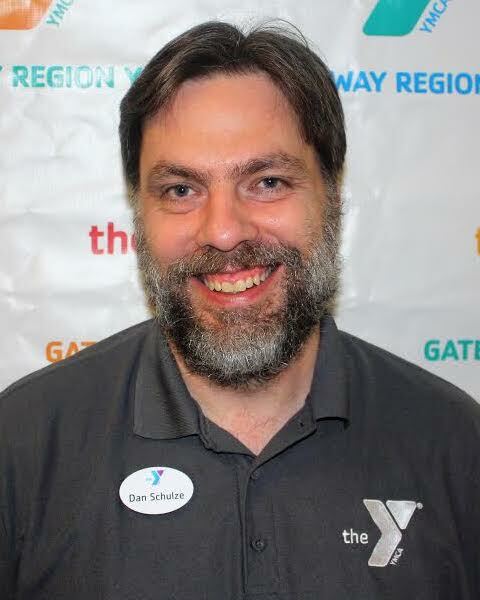 Dan Schulze started his YMCA career because of this program’s influence as a teen. He attended as a Leader from 1989 to 1992 and returned to serve in 1994 as a Staff-in-Training. He has served as Co-Director of YMCA Central Leadership School since 2010. Dan attended St. Louis University with a degree in Business Management. He has worked for the Gateway Region YMCA in St. Louis his entire career. Currently, he serves as District Vice President leading 8 of the branches of the association. He also leads the association Teen Program Management Team and is a Faculty Trainer for teen leadership programs for the YMCA of the USA. The opportunity to continue to work with teens at Leaders School is a great opportunity to renew connections with teens and revisit the roots that started my career interest. Dr. Jason Rehfeldt has been involved with Central Leaders School for more than 30 years. He attended as a Leader from 1988 to 1993 and returned to serve in 1995 as a Staff-in-Training. It is truly one of life’s dreams come true to be a Co-Director of Central Leaders School for Jason and he has served in that role since 2014. 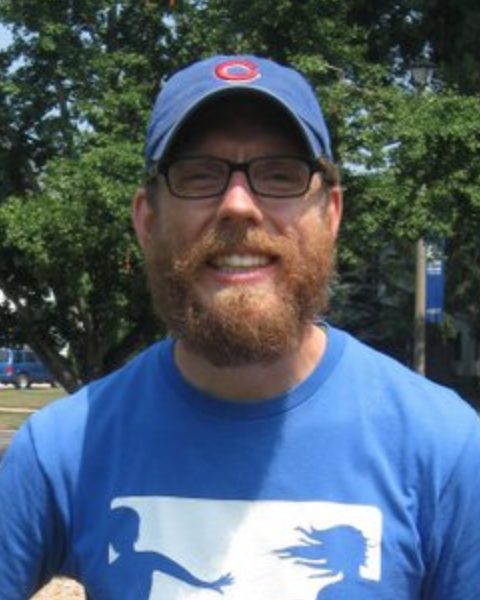 Professionally, Jason earned his Ph.D. in school psychology from the University of Kansas in 2007 and he currently works as a middle school special education administrator in a suburban Chicagoland school district. Central Leaders School has had an incredibly influential role in Jason’s personal and professional life and that speaks to why he continues to be involved. Jason genuinely looks forward to seeing your youth at Central Leaders School this and as many summers as possible and openly welcomes any questions, concerns, or feedback.